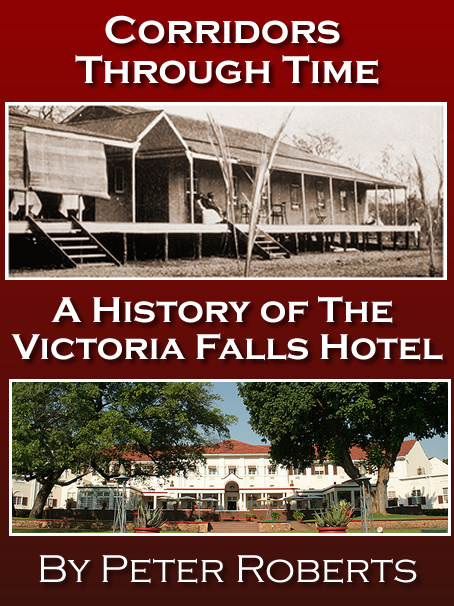 The following text is adapted from 'Life and Death at the Old Drift, Victoria Falls 1898-1905', researched and written by Peter Roberts and published in 2018. Please visit the Zambezi Book Company website for more information. 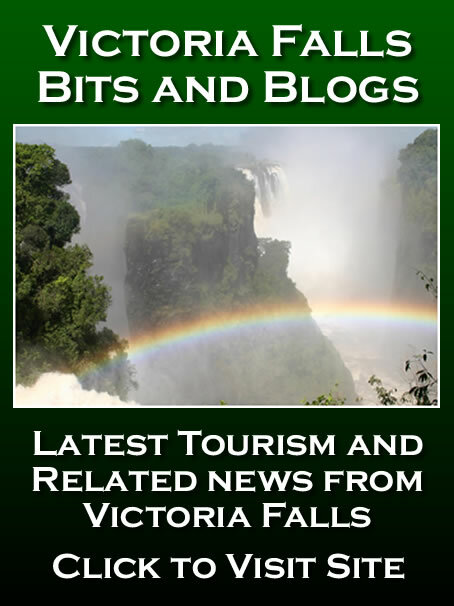 Prior to the arrival of the railway and building of the Victoria Falls Bridge the Zambezi River was crossed above the Falls at several established ferry points. Travellers would head for the local landmark of the ‘Big Tree,’ the huge baobab tree (Adansonia digitata) close to the river above the Falls (and still standing to this day). There they would set up camp before making arrangements to cross the river over to the Controller’s Camp and clear their further passage into Barotseland. Woods, writing in 1960, records older Livingstone residents recalling that there was more than one funeral at the Big Tree in the early days, but no sign of any graves have ever been found. Giese’s Ferry was the closest to the Falls, located just a short distance upstream and crossing to the Controller’s Camp, but suitable only for small craft carrying light loads. A little further upstream where the river bends significantly (and close to the Big Tree) was the Palm Tree Ferry, where travellers could cross the river to two points on the north bank, including again the Controller’s Camp. 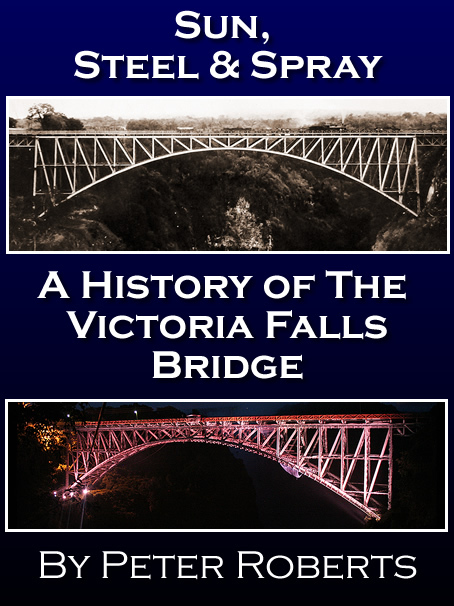 The most important crossing was nine kilometres from the Falls, where the river was at its narrowest, about a kilometre in width, and also at its deepest, allowing larger craft and heavier loads to be transported. The crossing was known as the Old Drift, having been the traditional crossing point controlled by Chief Sekuti and his people who had inhabited the large islands on the river and controlled the crossing, before being displaced by the arrival of the Makalolo. A carpenter by training, Clarke soon erected a small hub of accommodation huts and set himself up as forwarding agent and hotel keeper. The writer Fuller, having interviewed Giese’s widow in the early 1950s records that Clarke had already established the nucleus of a small trading settlement at the time of the ‘Great Indaba’ on the Zambezi between Lewanika and Lawley in June 1898, although most other commentators place his arrival later in the same year (Fuller, 1954). Clarke ran the crossing using the iron barge transported to the Zambezi by Lawley, and later a steam launch, also provided by the Chartered Company. Passengers were taken in the barge, paddled by eight Barotse men, whilst wagons and goods were towed by the launch. The Drift also became known more simply as Clarke’s Drift, and later as the Livingstone Drift. Clarke later employed at least two Europeans to operate the crossing, W A Carter, an engineer, supervised operations on behalf of Clarke, and William Trayner as boatman. All supplies for the North-Western Rhodesia Administration - including for the growing administrative capital established by Coryndon at Kalomo - as well as for the Northern Copper Company and Tanganyika Concessions Company came through the small settlement, as well as for the increasing number of independent traders, hunters, prospectors and missionaries operating in Barotseland. In August 1898 the Reverend Giovanni Daniele Augusto Coisson, an Italian working under the auspices of the Paris Missionary Society, arrived to start a mission station among Sekuti’s people. Coisson chose a site back from the river a short distance upstream from the Old Drift settlement and established the foundations of a small mission and school, led by an African evangelist, Petrose Kasana. A letter from Coisson in late August 1898 recorded that the school already had four pupils, although two of them were herd boys who had to spend their time guarding the cattle. The following day the school only had two pupils, after the chief ordered the herd boys to take the cattle further afield (Watt, undated). Initially Coisson remained based at Kazungula, travelling each month to the Falls to support the work of Kasana. During this time Coisson established a more permanent Mission Station consisting of a thatched chapel building and cottage for himself and his family, after which they moved permanently to the site. Mission Station at the Old Dirft, circa 1900. By 1900 Coisson had established a fine mission station, with its own riverside landing stage and spacious church building surrounded by a stake fence. The church building was used as the school and by April had six African boarders under the care of the missionaries. Their son, Enrico, was born on 17th May that year, the first European child born at the settlement. 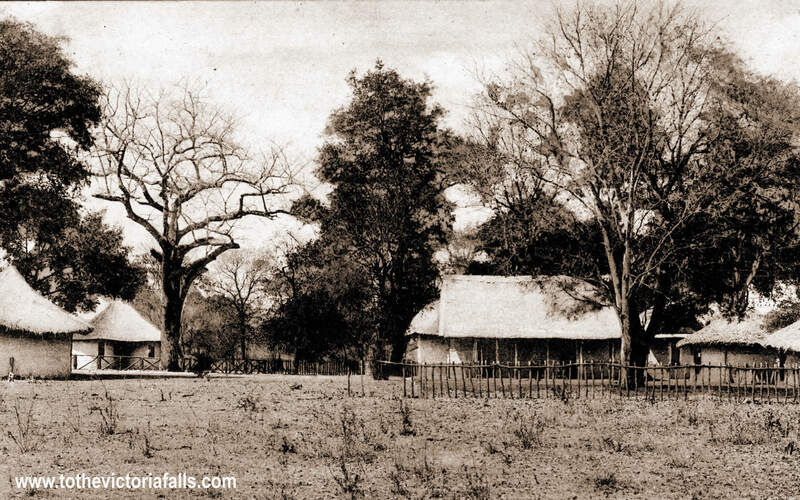 Coisson records that Georges Mercier, a Swiss carpenter, and his wife, Madame M Mercier, entered Barotseland in 1897, travelling north to help establish the Paris Missionary Society mission station school at Sefula. After this he presumably arrived at the Drift to assist Coisson with the construction of the mission station, for he is buried on the banks of the Zambezi at the Old Drift, having died on 18th November 1900 of blackwater fever, aged just 26. His wife was already dead and buried at Sefula. In 1900 Clarke established the first wood and iron building at the Drift, operating as a general store (and which would later evolve into the Zambezi Trading Company). The company of A & I Pieters soon opened a second store and bar, managed by Mr H E van Blerk, and George Smith and Jimmy James established a partnership as butchers and bakers to the growing community. 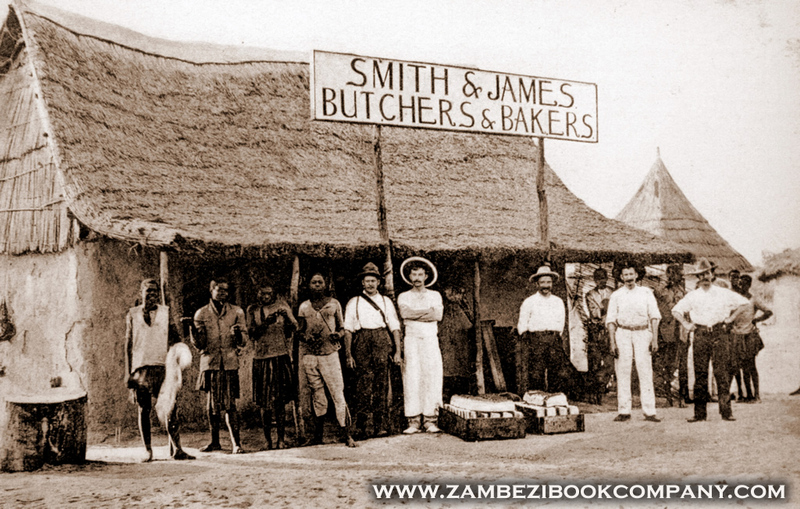 Smith and James, Butchers and Bakers (from a postcard by P S & Co). Other traders soon followed and established businesses and stores and the beginnings of a small community slowly established itself on the north bank to await the arrival of the railway, which they confidently assumed would have to cross the river close by. Trade must have been slow in these early years, but a steady passage of travellers passed through the Drift, including an increasing number of Company employees. Frederick Cunningham Norton arrived at the Falls in 1901, responsible for managing the Chartered Company’s store depot. In a letter written in January 1901 Coisson records Gifford Moore, ‘Mopane’ Clarke, and two independent traders, Murray and Pearce, as the core of the early community. When Mr Aitkens, District Commissioner for Barotseland (1900-07), returned from leave in England in June 1901 he brought the settlement’s first gramophone - no doubt requested by Clarke as an attraction for his bar. In addition to his roles managing the crossing and as a forwarding agent for the growing number of mining operations to the north, Clarke arranged logistics for an increasing number of ‘sport’ hunters intent on bagging one or more of Africa’s ‘Big Five.’ Clarke also acted as a recruitment agent to supply labour south of the Zambezi, including for the De Beers Mining Company. Harding recorded in 1901 that Clarke had recently recruited 650 workers over a period of three months (Vickery, 1986). Mr Francis (Frank) William Sykes arrived at the Falls in May 1901, reporting for duty at Constitution Hill as the new District Commissioner. The District Commissioner on the north bank, Frank Sykes was also appointed the first Conservator of the Falls, responsible for the Falls Park established around the immediate area of the Falls on the north and south bank. The Chartered Company had been alerted to the need to take action to protect the natural environment of the Falls after it was rumoured in 1894 “that some enterprising individual [sadly un-named] was going to ‘peg out’ the land around the Falls and charge gate admittance” - an initiative they were keen to forestall. In June 1903 a brick house was being constructed for Mr Sykes at the growing Administrative camp on Constitution Hill, no doubt in anticipation of the arrival of his wife and daughter. The house, as with his role as Conservator, was jointly funded by the administrations north and south of the river. The regulations protecting the environment of the Falls not only restricted over-enthusiastic ‘sportsmen’ from shooting animals, but also limited access to the river and Falls for the local Leya people. Sykes was later assisted by a Curator, Mr C E F Allen (Forester to the Rhodesia Railways and former employee of Kew Gardens), who was appointed in 1904. 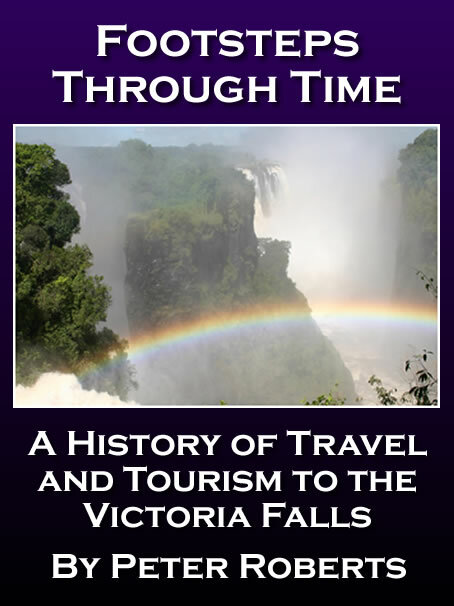 McGregor, JoAnn (2003) The Victoria Falls 1900-1940: Landscape, Tourism and the Geographical Imagination, Journal of Southern African Studies, Volume 29, Number 3, September 2003 , pp. 717-737(21). Sykes, F. W. (1909) The Riddle of the Zambezi. 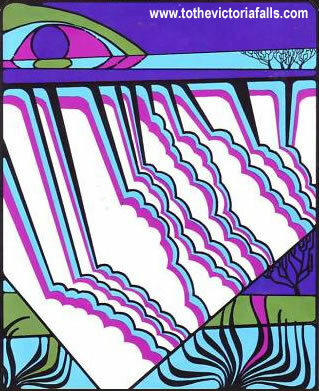 The Wide World Magazine. May 1909, p.116-126. Vickery, K. P. (1986) Black and White in Southern Zambia: The Tonga Plateau Economy and British Imperialism, 1890-1939. Greenwood Press.